Lara Croft and the Guardian of Light is a fixed-camera 3D platform viewpoint action video game developed by Crystal Dynamics. Unlike previous games in the series, the game does not carry the Tomb Raider brand and has a heavy emphasis on cooperative gameplay. In multiplayer, players take the role as either Lara Croft or a 2,000-year-old Mayan warrior named Totec. They must work together in order to stop the evil spirit Xolotl and retrieve the Mirror of Smoke. 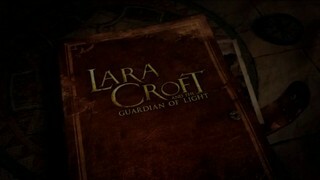 A single-player campaign mode is available that does not include the non-playable character AI following or helping Lara. 01:36 The first ball boost. It skips having to move two balls onto pressure plates that opens the door. 02:00 Most attempts fail here. Ball physics are really annoying. Just like in co-op, the entire level is skipped. Something to note: bombs have a 3 second cooldown from the time you place one. If you see me standing still for no reason, I'm waiting for the cooldown. There are two balls nearby and I choose the one on the right side of the tomb because it's rolling and I can use its momentum to get it where it needs to be really fast. 00:24 I climb up during the cutscene by mashing jump as I land on the ladder. 00:42 I shoot my rope here because its animation gives a tiny vertical boost. It isn't required for this skip but it helps a bit. This trick is used a lot more often on console because the boost height you get is determined by how low the frame rate is. The same cutscene spear trick that's in the co-op run is used. Rocket launcher is used to save a couple hundred milliseconds, just enough to get a 7 second run. A precisely timed bomb jump is used to skip this otherwise very long level. The second half of this level is incredibly annoying on the PC version of the game. Lara will randomly get stuck when rolling from tile to tile, so I wiggle left and right a bit to prevent that. It's probably due to the physics running at 60fps. The route here is largely identical to the co-op route. 02:24 I chain the cooldowns on bombs and grenade launcher to get the ball to the end as quickly as possible. The exploding green bulbs and the physics make this part pretty annoying. 01:07 Being able to bomb jump across the various gaps in this area saves a considerable amount of time. 01:20 The Heavy Grenade Launcher's splash radius is big enough to hit the switch on the other side. I use spear on the switch afterwards to get the speared effect back for the bomb jump coming up. Another frame and this would have been a 01:19. The most precise spear throw in the run is used to get out of bounds. 00:46 I could have rolled to cancel the stun animation to save half a second, but decided not to risk it. This level has a lot of "auto jumps". Basically the game will try to auto-correct your jump so you don't fall in the lava. This is really annoying and causes a lot of retries but it also has a use. At 00:23 and 00:34 I jump early and the auto jump system corrects my jump to land on the stairs below, with higher gravity than normal. 00:52 There are two "fight rooms" in this level where you have to kill a ton of enemies to continue. Thankfully both of these are easily skipped. 01:24 If you jump early here, the auto jump system will either put you on the other side of the statue or on top of it. 01:53 These rotating platforms have terrible physics. Trying to go fast will almost always get you killed. 00:12 I touch an invisible trigger box mid-jump at a precise angle here so I have enough time to throw a Spear of Light before the cutscene begins. It's hard to explain. Yet another gate skip. On the second half of the level I roll straight up the left side and hope the falling fireballs don't break the floor. Probably the hardest single-player IL. 00:29 I rope jump to the right so I can swing back with enough momentum to climb up top. The next spear throw is incredibly difficult to do fast and a second can be gained here. There's an invisible wall guarding most of the rocky area I jump to, but with a specific angle you can get past it. The final bomb jump has to be timed correctly or you will die during the cutscene. The level begins with a 2 minute long fight that can't be sped up. 02:28 For the fight to proceed here, you need to kill three skeletons. Each time you kill one, the next one spawns. The bomb I planted explodes the green bulb which in turn kills the first one (because bomb damage alone isn't enough to kill them), which spawns the one I shoot with my grenade launcher. Another one spawns and the splash damage from the grenade explodes the green bulb nearby, which kills it instantly as it spawns. Fatalis plays as Lara, dawhos plays as Totec. The entire co-op run was done online via Steam. We both use controllers because analog movement is much more useful than being able to aim easier. It's highly recommended to watch the co-op run first. <Fatalis> Huge thanks to Kotti & Ariwa for doing the initial routing for co-op and discovering most of the crazy glitches (see: Spider Tomb, Fiery Depths). Thanks to Brassmaster for his support for various single-player related questions I had, and Greenalink for discovering a lot of the tech and skips. Also, sorry for the overly long notes. <dawhos> I had a lot of fun discovering new strats/glitches for this game. It was also fun playing it casually to get all the NG+ items. Props to Fatalis for handling the technical aspects (recording/encoding videos, in-game timer software, confirming game mechanics through reverse engineering, etc.). The Spawn Clip glitch came as a total surprise when we were trying to figure out another way to skip a gate. Without Fatalis always recording, it would have been hard replicating how we clipped through. I hope another team picks up this game after watching this. Rolling: Around 40% faster than running. Bomb Jump: While in the air, you can drop a bomb then immediately detonate it to get a small damage boost. Speared Bomb Jump: If the last weapon used was a spear, the "mid-air explosion" animation is changed and you go even higher/farther. Dying or using another weapon will reset the effect. The "speared" effect carries across level changes. Spawn Clip: Co-op only. After dying, if jump or roll is pressed during a small window just before spawning, you can clip through the wall your partner is standing against. You can button mash to increase your chances. Almost all walls are clippable, but some walls are only clippable by either Lara or Totec. For some walls, having the other player jump right before you spawn will make it easier. Rope Jumping: While Lara's rope is connected to something (Totec, hook rings), if her vertical position is lower than it, she can do a mid-air jump. Chain this by re-connecting the rope after the jump and you can "fly" to the extent of the maximum rope length. Discovered by Greenalink. Clever Spear Placement: The developers had to have known this was exploitable. You can throw up to 3 spears that stick into walls, and jump onto/between them. Used often in single-player to get out of bounds. Fast Death: Co-op only. If your corpse falls a certain distance downward from where you died, you can respawn much faster. It's like your corpse dies or something. This is useful when one player needs to die but not stop the other player from continuing on. Ball Boost: If you climb up a ball right as you detonate a bomb, you'll ride on it as it flies through the air. Totec's Spear (Totec, Lara): As one of the main co-op mechanics of the game, Totec can throw spears for Lara to jump on and get to higher areas. Lara doesn't have access to this in co-op but does in single-player. Spear of Light (Lara, Totec): NG+ weapon that has the highest damage in the game. Completely overpowered against bosses. Spear of Darkness (Lara): NG+ spear that Lara can both use and jump on in co-op, which means she doesn't have to rely on Totec for spear boosts. Heavy Grenade Launcher (Lara, Totec): Large splash damage radius, decent damage. Railgun (Lara, Totec): Powerful against the final boss, weak against other bosses. Full relic meter will modify the gun to fire two powerful shots. The first level in the game. The hardest level in the game. 00:15 Both players throw a spear after using the grenade launcher to get the "speared" effect to make bomb jumping over the gate easier. 00:56 The first of many spawn clips. Lara gets a fast death by dying to a bomb while rolling and flinging off the level. 01:09 Lara bomb jumps over a semi-high invisible wall, killing Totec in the process. Totec automatically gets fast death from his corpse sliding down the stairs. Lara proceeds out of bounds and skips two rooms. 01:26 Only one player is required to trigger the majority of the triggers in the game so Totec stays behind to save time. Spawn clip is used to skip the majority of the level. The first usageof rope jumping, and something we call Corpse Spawning. You can spawn on a player while they're dead, even if their body fell off the map. Since both players were dead at the same time, the death/loading screen will appear after a few seconds. You can end the level or hit a checkpoint before this happens if timed properly. Discovered by Kotti & Ariwa. NG+ weapons are overpowered. We each throw a Spear of Light before triggering the cutscene so that the spears will hit the boss by the time we gain control again. The boss has invincibility frames after being damaged so we space the spears out. 00:24 Two new glitches: Camera Pull and Area Desync. The camera will pull players (even through walls) in order to keep them in its view. Lara does this in a specific area that causes the area desync glitch. Totec gets pulled through the gate and due to lag/bad netcode, Lara's (the host) screen sees the level transition and Totec is still where he was on his screen. The game is now in a state the developers hadn't anticipated. Totec is now invulnerable and his inputs affect both him on his screen and the Totec Lara sees on her screen. 00:33 Totec is completely blind during this area. Lara camera pulls Totec into a set of walls that would normally kill the player. For unknown reasons this causes the camera to endlessly pull Lara and zip her to the end of the level. The zip can be much faster than shown here, but going too fast causes Lara's position to get rolled back. 00:17 We casually around a cutscene trigger. Most triggers in this game are big and well-placed, but this is an exception. 00:37 A long cutscene is skipped by combining shield boosting / Spear of Darkness to escape the room. 00:48 Totec spawn clips through a wooden gate that is normally down if the long cutscene isn't skipped. You may notice Totec's movement looking awkward throughout the run; this is because of lag. 01:10 A large portion of the level is skipped by using this shortcut. The load trigger for the next section of the level was also skipped, so we go out of our way to get it loaded. 01:43 Lara utilizes Heavy Grenade Launcher's large splash damage radius to destroy both cogs at once. 02:18 A highly annoying physics-ball room is skipped with a difficult spawn clip. 02:34 Lara rope jumps across to skip a cutscene. There is an invisible gate that's normally visible so Totec has to spawn clip through. 00:24 Lara uses a cleverly placed spear to jump over the spiked wall. Totec can't die and spawn on her because there's a fixed spawn point here. We unlock the camera for Lara to move on while Totec is stuck at the fixed spawn point until Lara reaches the next one. 01:14 The hardest trick in the game. Lara spawn clips out of bounds and Totec needs to spawn on her. Instead of waiting for Totec to spawn on her, Lara jumps off of a spear right when Totec dies to unlock the camera. Lara then blindly continues out of bounds, staying at the edge of the map to prevent Totec from spawning to a fixed spawn point, until Totec spawns on her. She then suicides to spawn at a fixed spawn point back in-bounds. Basically an auto-scroller. The monster moves at a fixed speed all the way until the end but stops to destroy bridges, so we destroy them. 00:50 There's a trigger here that when both players are touching it at the same time, causes the monster to destroy the stone wall instantly. If both the players touch it individually it won't trigger. This took a lot of time to figure out. 01:35 Lara spawn clips and waits for the end-level trigger to spawn. It doesn't spawn until the monster is finished dying. The entire level is skipped by going out of bounds. 00:47 Lara rope jumps to get back in-bounds and a cutscene is skipped because both players need to be touching the trigger. 00:28 Here's a glitch that's only used once: Spear Warp. This is used to get Totec to spawn on Lara even when there's a fixed spawn point nearby. When a player spawns near a fixed spawn point, they're actually spawned on the other player for one frame before getting teleported to the fixed spawn point. When standing on a spear, all positional updates are ignored, so if the player spawns onto that spear for one frame, it's enough to ignore the fixed spawn point teleport. 00:49 Lara rope jumps over a death trigger and descends out of bounds. She then rolls onto a gigantic invisible surface that separates the upper and lower areas of this level. This surface doesn't seem to be accounted for in the game's netcode because it causes a desync between the players. Totec's screen sees Lara fall to the bottom of the level without dying or taking damage and he then spawns on her. Lara floats for a bit then falls through the invisible surface on her screen moments later and dies to spawn on Totec. Discovered by Kotti & Ariwa. Pretty much the same as The Summoning. Totec throws a Spear of Light that will hit during cutscene while Lara goes to trigger the cutscene. This level is very similar to Forgotten Gate, including the gate skip that skips the entire level. Totec has an advantage on the second part of the level because of how his rolls work. His rolls have a longer animation than Lara's, which makes him able to roll over small gaps much easier. Totec rolls over all of the gaps until the end of the level. Pretty straightforward level. Lara does an intentionally slow rope jump so the fireballs don't hit her, then jumps over a high invisible wall to get out of bounds. The end level trigger extends pretty far. The only level where having full relic meter is important. Having full relic meter gives increased bomb radius, a 2% run speed increase, and an overall damage increase. Surprisingly, the only one that's useful is the bomb radius, as seen in phase 2 of this boss fight. 00:20 This spawn clip saves two minutes by skipping the entire first phase of the boss. 00:42 We quickly shoot two strong weapons back to back to get a quick kill. After that, we plant two bombs in specific areas that will cause a chain reaction to kill the required number of enemies for the boss to reappear. Another quick kill. 02:25 "You will now witness the power of a true god"